All inquiries regarding the Hutcheson Memorial Forest Center should be directed to the hmfdirector@sebs.rutgers.edu. Interested in more information regarding our tour schedule or scheduling a private tour? Please include "HMF Tour Request". For all other inquiries, please be sure to identify your question or topic of inquiry in the subject line so that we can efficiently respond to your email. Interested in visiting the HMF Center? 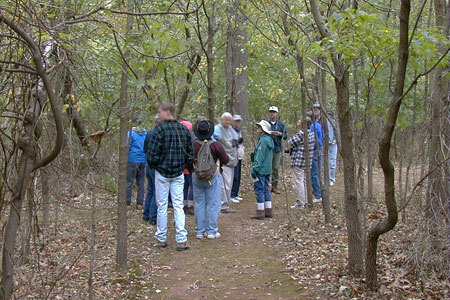 Join one of our experts led tours through the ancient forest!